Unique opportunity to rent a new 3-bed detached riverside house, set within Bates Marina entrance and the River. 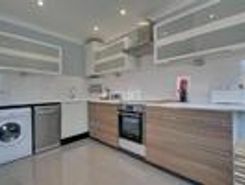 Ultra modern property with sliding oak pocket doors, fully equipped kitchen. Balcony from lounge and the master bedroom overlooking the River Thames with views of Chertsey Bridge. NO DEPOSIT REQUIRED. ALLOCATED PARKING Brand new development in ideal location. Large windows provide ample natural light. Bespoke kitchens with integrated Bosch appliances. Unfurnished or Furnish. Hyperopic broadband and nest smart meters come as standard. Cycle storage. mins from Heathrow. 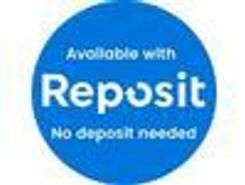 DEPOSIT FREE RENTING AVAILABLE. Six bedroom detached family home in a rural location with ample space for the family for enjoy. The property is located in Lyne, which is a short drive from M25 access. The property comprises of six good size bedrooms, . ALL BILLS INCLUDED. Fully furnished three bedroom cottage annexe moments from Chertsey town centre. This quaint property has original charm yet modern features and would ideally suit a professional family needing a base in the Surrey area for work. .
LONG LET. 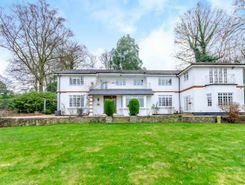 A stunning and spacious six bedroom executive home in a secluded location with breathtaking views over North-West Surrey and benefiting from a gated entrance, ample parking and a double garage. 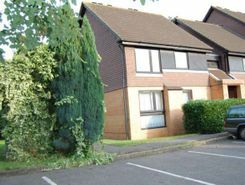 Immacula presented and spacious 1 double bedroom modern ground floor apartment with secure entry phone. Located in a quiet residential cul de sac a short walk to Chertsey Meads. This unfurnished apartment also boasts large living room, kitchen, bathroom and parking. TheHouseShop.com is the leading property marketplace in Chertsey in Surrey and has been helping landlords, tenants, sellers and buyers to save money when buying, selling, letting and renting property online. Estate agents, online-only agents, private sellers, private landlords and property developers can all list properties for sale and to rent on TheHouseShop.com, as it is the only property marketplace in the UK to accepts listings from both professional agents and individual homeowners. Estate agents, private sellers and private landlords can advertise all their properties on TheHouseShop's marketplace and reach the tens of thousands of home hunters visiting the site each day looking for property for sale and to rent in Chertsey in Surrey. Private landlords and sellers can make use of TheHouseShop's marketing options to generate more exposure for their property and quickly find the right buyer or tenant. Private landlords in Chertsey in Surrey can use TheHouseShop to advertise their rental properties and find quality, reliable tenants for free. 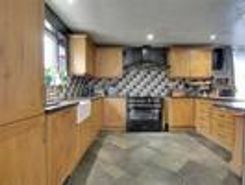 TheHouseShop showcases a range of houses and homes to rent in Chertsey in Surrey including, flats, apartments, maisonettes, and bungalows, giving tenants a unique selection of rental property from professional agents and individual homeowners. Tens of thousands of tenants visit TheHouseShop to find cheap property to rent in Chertsey in Surrey's most popular locations and can tailor their search to suit their preferred location, style of property and weekly or monthly rent budget. Visitors to TheHouseShop will find a variety of Chertsey in Surrey rental properties available to rent direct from the landlord including DSS rental properties, studio apartments, flats, 3 and 4 bedroom homes, semi-detached houses, terraced houses to rent and more. Many private landlords using TheHouseShop to advertise their property will not post their listing anywhere else online, so tenants will not find our properties on other property portal websites. 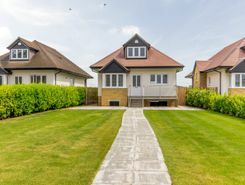 Renting property in Chertsey in Surrey is hugely popular and home-hunters can save money on administration fees by renting direct from the landlord. Tenants can find a variety of cheap rooms to rent in Chertsey in Surrey in TheHouseShop's Flat Share section. 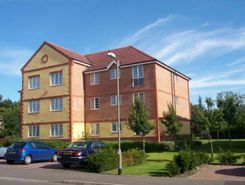 Tenants looking for cheap rentals in Chertsey in Surrey's most popular areas should consider a Flat Share instead of renting out a whole property. Securing a rental property in Chertsey in Surrey can be difficult, but TheHouseShop can help tenants with our Guarantor Service providing a UK-based guarantor for any rental property in the UK. Landlords can use our free online rental calculator to determine the perfect price for their Chertsey in Surrey rental property. Private landlords can also benefit from a range of landlord services including: tenant referencing, rent guarantees, tenancy contracts and landlord insurance products. Landlords can safeguard their property with tenant reference checks on TheHouseShop.com which include tenant credit score, rental history, background checks and more. Renters looking for property to rent in Chertsey in Surrey and the surrounding areas can sign up for free property alerts on TheHouseShop.com and receive instant email alerts anytime a new rental property meeting their requirements is added to the site. With a huge selection of cheap Buy To Let properties available on TheHouseShop, landlords and investors can buy their next investment property from developers, agents and private sellers across Chertsey in Surrey.